The SharePoint Cascading Lookup Plus Field type is a “super” lookup field type which brings added capabilities that implementers found lacking in out of the box SharePoint Lookup fields. 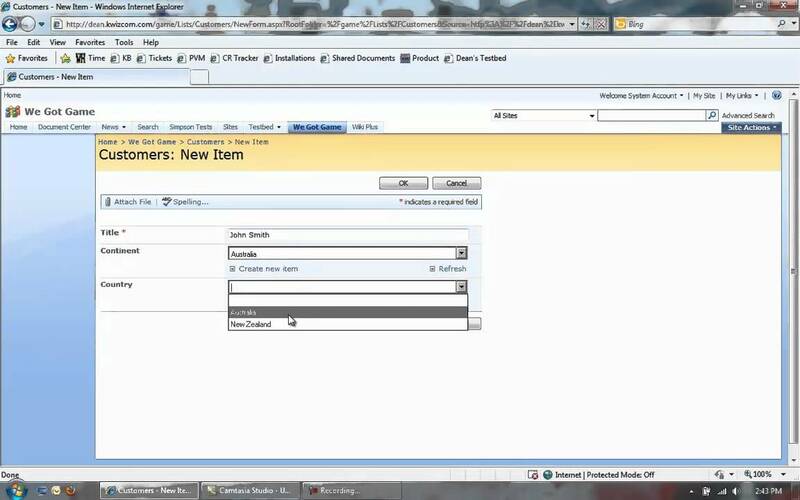 You can now easily implement sophisticated, cross-site, relational-database solutions in SharePoint! Easily filter field values by other fields in the same List. Example: Would you like to display “Region”, “Country” and “City” fields, where each one filters the next field? SharePoint Cascading Lookup Plus Field type empowers you to implement that with just the click of a button! 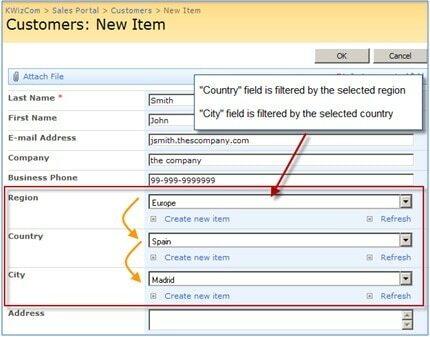 The SharePoint Cascading Lookup Plus field enables you to create “dual lookup” field. In other words, when you create a lookup from one list to another, a reverse lookup is automatically created. 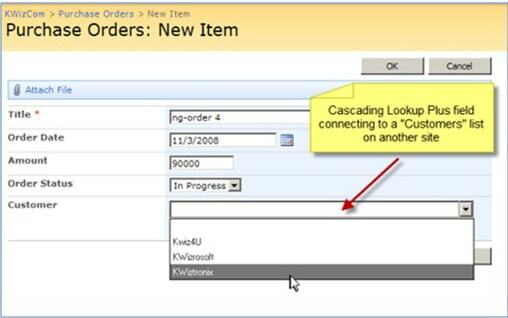 For example: when you create a lookup field in the “Orders” list that connects each order to a customer in the “Customers” list (see below), a reverse lookup will automatically be created in the customers list. So how does this help? 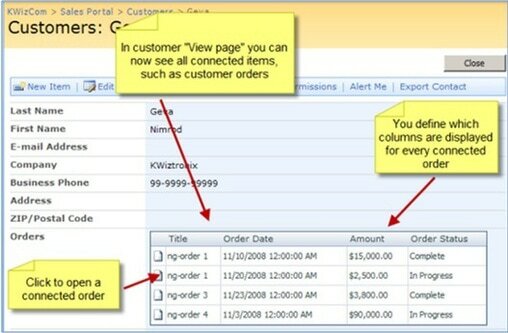 Now you can easily manage all customers’ orders directly from the customer’s “view item” page as demonstrated in the screenshot. You can manage a connection between any two entities from either side of the relationship, just like in any regular relational-DB application! Click here to download the latest KWizCom 2010 Foundation package. Click here to download the latest KWizCom 2013-2019 Foundation package. This add-on is licensed per-WFE server, meaning: every web front-end server requires a separate license. * Development license, same as the annual support service, needs to be renewed every year otherwise it will expire.